First we heard about the world’s biggest garbage dump – made up of the detritus of our time: plastic bottles, plastic bags, DVD cases – floating in our ocean. 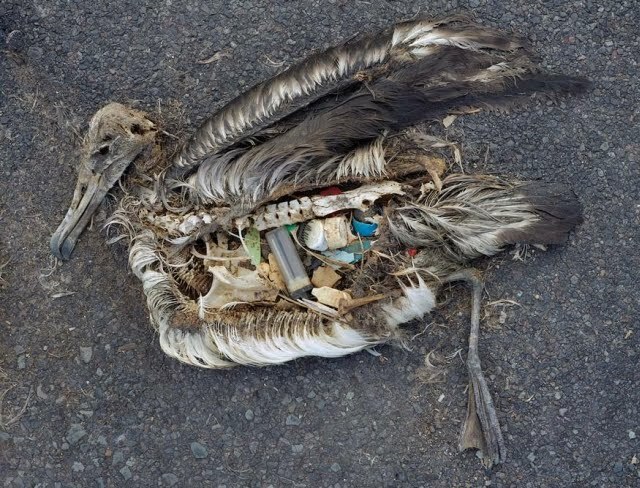 About 44 percent of all seabirds eat plastic, apparently by mistake, sometimes with fatal effects. And many marine species are affected by plastic garbage—animals are known to swallow plastic bags, which resemble jellyfish in mid-ocean, for example—according to a 2008 study in the journal Environmental Research by oceanographer and chemist Charles Moore, of the Algalita Marine Research Foundation. Just as soon as we’ve had time to digest this news, we discover that the more improbable impact to the oceans from plastic comes from microscopic particles of plastic: In fact, the mass of plastic the size of Texas often said to exist in the North Pacific is a myth, according to filmmaker Craig Leeson, who is producing a documentary (backed by David Attenborough and the UK-based Plastic Oceans Foundation) on the spread of plastics in our oceans. Instead, particles of plastic lurk in our oceans invisibly, in seemingly clear water. 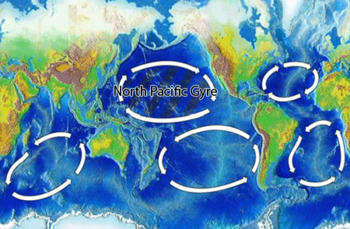 Charles Moore has found that in some areas, plastic outweighs zooplankton – the ocean’s food base. It’s not just in the water: Dr. Mark Browne, University College Dublin, and several colleagues gathered sand samples from 18 beaches on six continents for analysis. It turns out that every beach tested contained microplastics (particles about the size of a piece of long grain of rice or smaller). Charles Moore carries a bag of sand from a beach in Hawaii which he had analyzed – and found that it was 90% plastic. Studies show that this contamination is getting worse – and link it with health conditions in humans including cancer, diabetes and immune disruption. 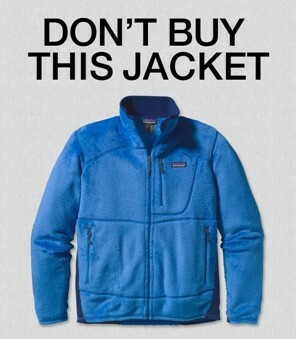 So how does this tie into our blog topic of textile issues? It turns out that 80% of the microplastic found in the samples which the scientists collected on the beaches was fibrous: polyester, acrylic and polyamides (nylon) fibers. And the scientists are pretty sure the fibers come from fabric. In order to test their idea that sewer discharges were the source of these the plastic discharges, the team worked with a local authority in New South Wales, Australia, and found that their suspicions were correct. Sewage treatment does not remove the fibers. But where do the fibers enter the waste stream? Dr Browne and his colleagueProfessor Richard Thompson from the University of Plymouth carried out a number of experiments to see what fibers were contained in the water discharge from washing machines. 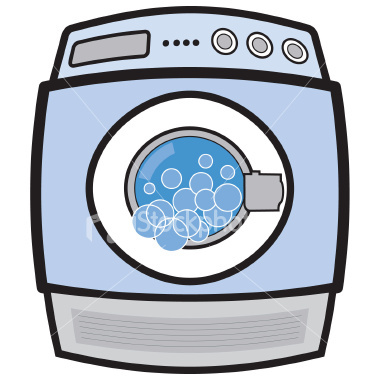 According to a study published in September’s Environmental Science and Technology , nearly 2,000 polyester fibers can shake loose from a single piece of clothing in the wash.
 Browne, Mark et al; “Accumulation of Microplstic on Shorelines Worldwide: Sources and Sinks”, Environmental Science and Technology, 2011, 45(21), pp 9175-9179.